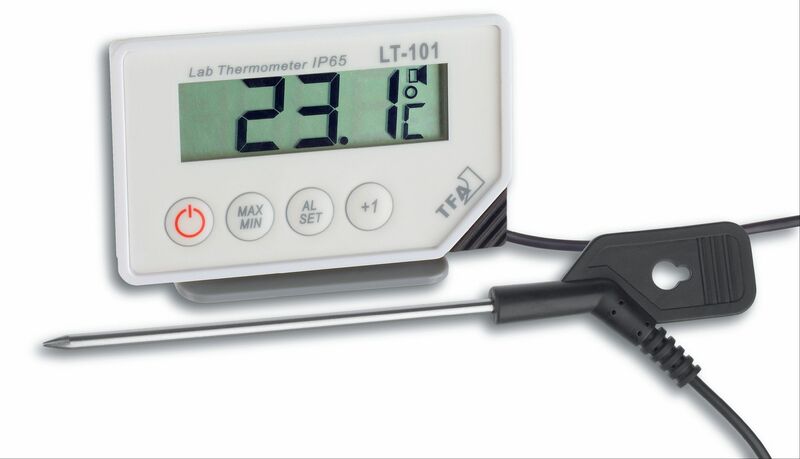 This digital penetration probe thermometer from TFA is ideal for professional temperature control of liquid, paste-like and semi-solid substances. It measures quickly and with high precision and it can be used universally. 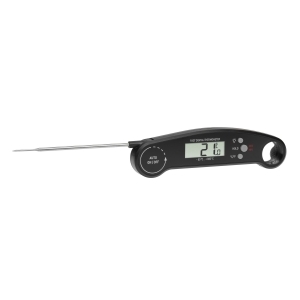 The thermometer is HACCP compliant and ideally suited for professional use in industry, commerce, trade and laboratory. The stainless steel sensor probe is connected with a cable approx. 160 cm long. 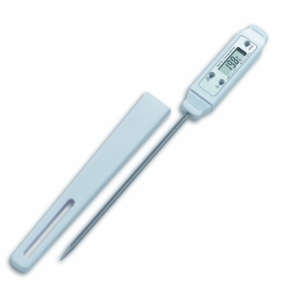 In addition to the current temperature, the max and min readings are displayed and the device has a data hold function. When values go over or under the chosen adjustable values range, you are alerted by visual and audible alarms. 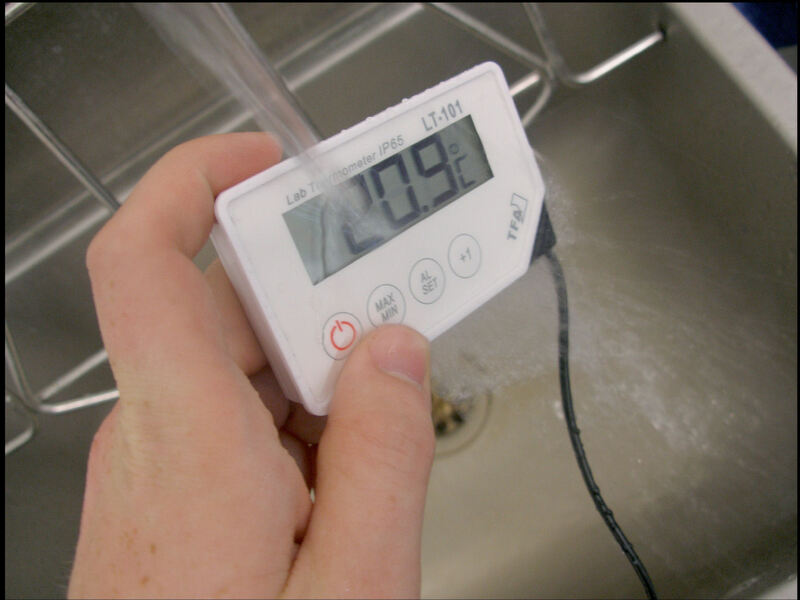 The thermometer is completely jet-proof and can be cleaned under running water after use. The display unit has a built-in stand for benchtop and thanks to its magnetic back, it can also be easily attached to metal surfaces. The measuring instruments can be used without restriction for temperature measurements in the context of self-inspections in the food industry due to its design, the materials used, the measuring procedure and the measuring accuracy.